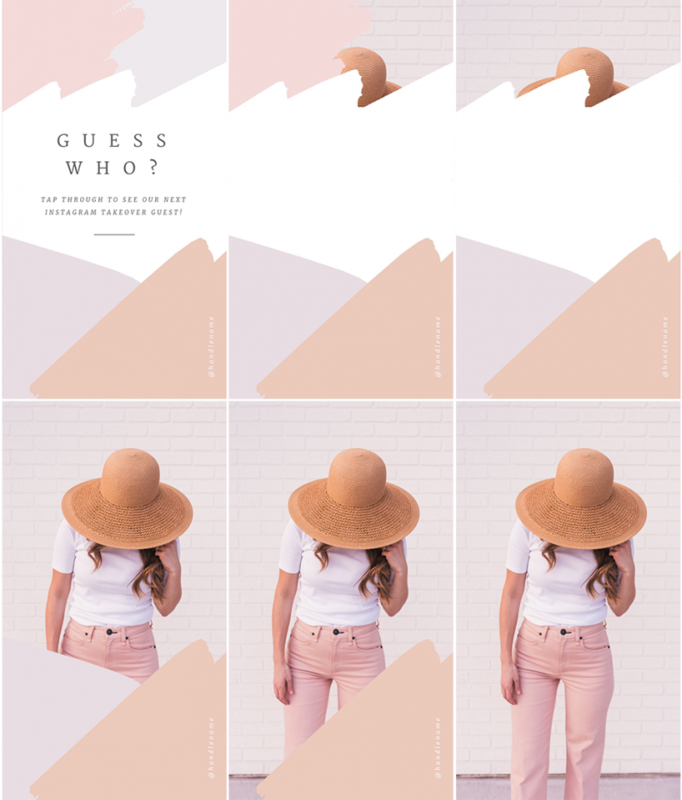 If you want to create a popular Tap-to-Reveal Instagram Story, then check out our Photo Reveal Templates. Once your audience sees that there’s something hidden to reveal, they’ll be unable to resist tapping through! The photo reveal, or Tap-to-Reveal Instagram Story effect has become super popular on Instagram. Who can resist tapping through to see what is being revealed? It resonates with our fear of missing out (FOMO) and our curiosity to know what is coming next. So we decided to share with you 5 simple ways to create Tap-to-Reveal Instagram Stories. And we’ve included 5 FREE Templates to get you started! 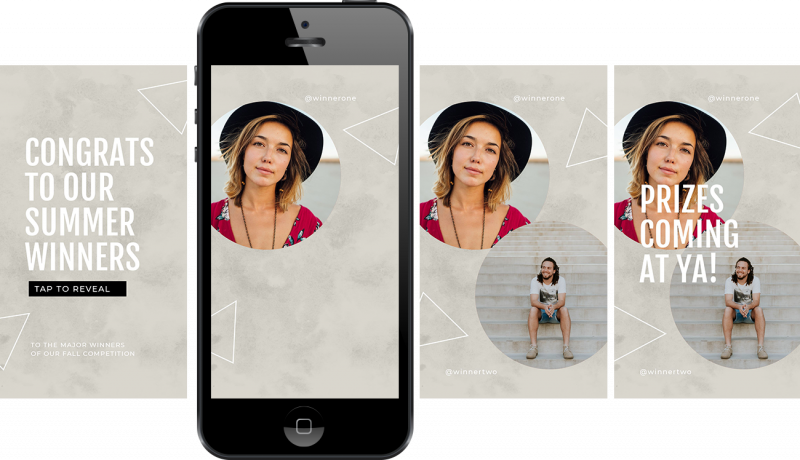 When working with our Instagram Story Tap-to-Reveal templates, make sure you use this “workflow” for success when you’re building a design. Start with the end in mind – and create your final screen first. Then, duplicate the number of pages you want to end up with. Next, remove elements sequentially moving down the pages so that the end result is a staggered reveal of the content. When you use these simple tips your results will be better – and you can create your designs much more quickly. Start our using our templates for guidance. Once you create one or two of these Tap-to-Reveal Instagram Stories you’ll be able to start creating more stories with your own unique twist! 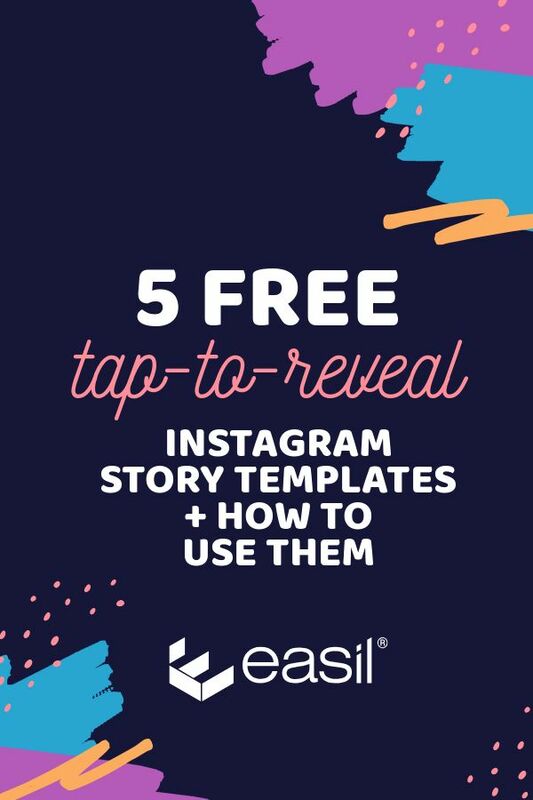 Now, let’s jump in to take a look at our 5 examples with Free Easil Templates for Tap-to-Reveal Instagram Story Templates! You can showcase images of the entrants themselves or share their entries into the competition. This is an easy way to share content, if your competition requires a creative aspect to enter. You’ll end up with entries that are perfect for sharing back in your story!). And of course you can share the winners or finalists! Open this template in Easil. Note that we have the words “Tap-to-Reveal” at the start of the story, to prompt your viewer to start tapping through! Edit the first screen to change the text to your own opening message. Then, open the final screen/page in the template, and add your images. It’s easy to snap them into the placeholder shapes when using our template. Duplicate your final screen twice, for a total of 3 pages. Delete the unnecessary images from the pages you don’t need them on, so that the final result is a stepped reveal of the winners or contestant’s images. In this example, you’re building suspense for the viewer … what is the limited time offer? Human nature will compel us to tap to find out! Open the template in Easil. You’ll notice the order of the template is in reverse to the above images. Edit the first page, which will become your final slide. Once you’re happy with your design, duplicate the pages twice. Working with the pages as you’d post them, start removing elements so that the first page has the first image box, and the second includes both the first and second image boxes, leaving the third page as the complete image design. Delete any unwanted pages from the document. Download the images and transfer to your phone or scheduling app. Post in the correct order on your Instagram Story ready for your viewers to Tap-to-Reveal! Hot Tip: Add Instagram GIF Stickers to your story to create more interest throughout! Who can resist a “Top List” of places, destinations, products or things? We can’t! 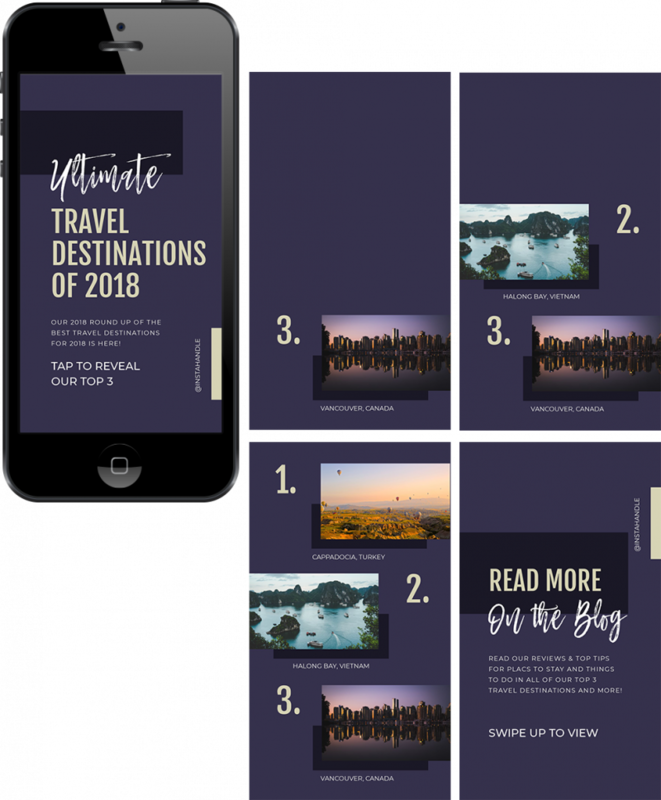 This example using Travel is the perfect way to engage your viewers. They won’t be able to click out of Instagram Stories until they find out just where they should be travelling next! This is also a great way to entice ‘grammers’ to read your blog, by publishing a sneak peek of a list post. Once we see this visual showcase of the top travel destinations, we want to know more about how to find them! Open the template in Easil . Edit the title slide (heading and subheading) to reflect your own content and heading. Find the image that includes all 3 of the “Top 3” graphics on the same image. Edit this page – including all text and images. Once you’re happy with the “Top 3” page, duplicate the page twice. Work with the resulting pages to edit them as you’d like to post them. Remove any elements that will create a stepped reveal of the images. You should end up with the first page showing the first “top 3” image. The second of the image pages will includes both the first and second destinations or items, leaving the third page as the complete image design. Delete any unwanted pages from your document. Edit the final page to reflect the Call to Action you wish to include. It could be to “Read More on the Blog” or “Swipe up for More”. Download the images. Transfer them to your phone or scheduling app and post them when ready in the correct order for your viewers to Tap-to-Reveal! This is a great Tap-to-Reveal Instagram Story idea for any business or brand who has new stock to showcase. This template can also be used for a new product reveal or a project reveal for something big you’ve been working on. You’re only limited by your imagination! This is a great way to slowly unfold what you have to share! 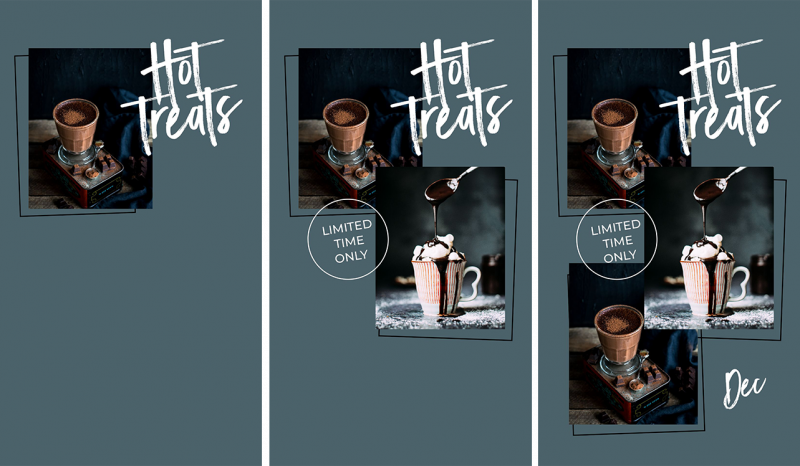 In this example, you’ll be using a simple shift to your text mask and transparency settings to reveal your product through a series of 3 screens! Typeset your message on the first screen and add your image to it using the text mask feature. Find out more about our Text Mask feature in this post. On the second screen, add the image in full as the background, and reduce the opacity to around 25%. You can take this further by adding stickers to the design to further obscure the design (try adding GIF stickers to cover the hidden image!). On the final screen, reveal the image in full. Use the duplicate button from screen 2 and increase the opacity back up to 100%. By using this method, the image will remain in exactly the same place as the user taps through the story. Download the final images and transfer to your phone or scheduling app to share! 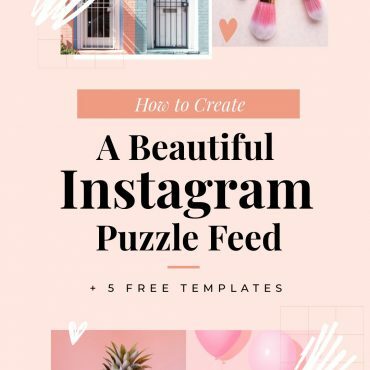 This method is a little more complicated to create, but once you get the hang of it, you’ll be using our Text Mask feature like a BOSS to create engaging Tap-to-Reveal Instagram Stories. It will make much more sense to you when you “do it” and create your own version, using our templates. 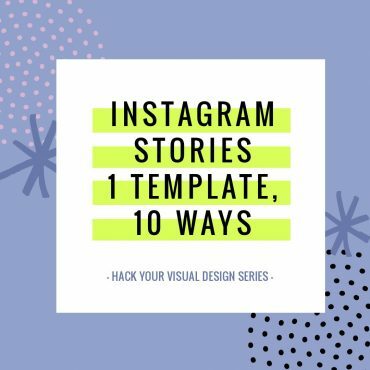 Popular Instagram Story Takeovers are the perfect way to use Tap-to-Reveal Instagram Story templates. We want to know who is going to take over your Instagram Story, so tease us when revealing who it is! There are many ways you can reveal the person taking over your Instagram Story. In this example, we are using a simple reveal by slowly removing some funky shapes that obscure the person’s photo. Open the template in Easil. Add your final image to the background of the 2nd page. 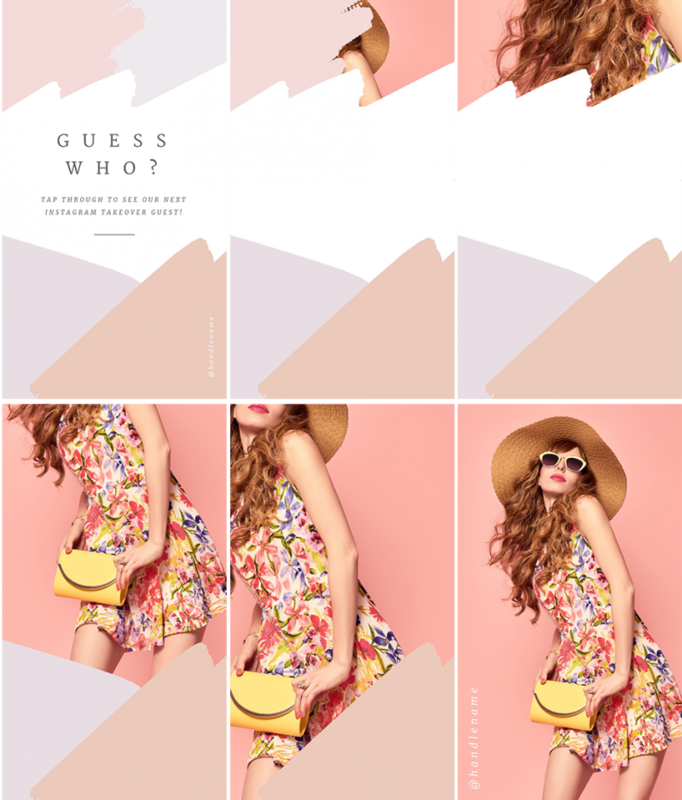 Duplicate the page 4 times for a total of 5 screens with the image of the paint splatters plus your guest image. Remove an element from each page until the photo is fully revealed. Delete the Easil guide pages. Download the final images and transfer to your phone or scheduling app to share. Your viewers won’t be able to resist tapping to reveal who it is! Or even turn it info a GIF. If you want to learn how to create GIFs in Easil, check out this post. Please Note: Instagram does not currently play GIFs directly to Stories. If you use a scheduling tool such as Planoly, it will automatically convert to video for you. You can also use a free online conversion tool. Show us Your Easil Designs in the Wild! 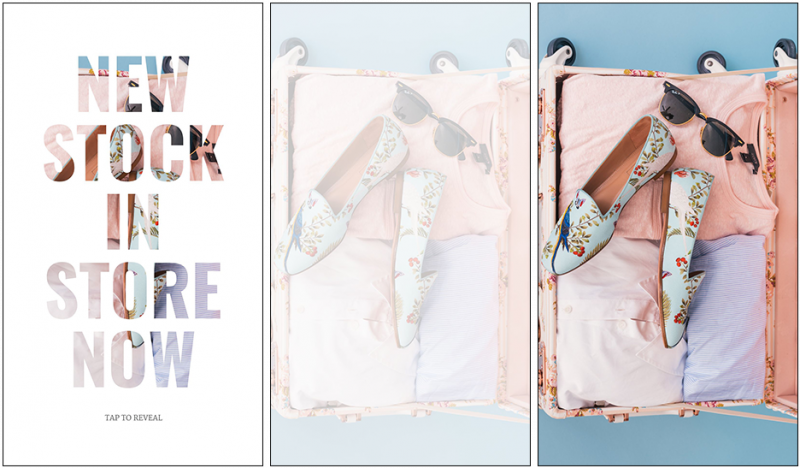 Are you as excited about these creative Tap-to-Reveal Instagram Story ideas as we are? Get started with the free templates in this post by clicking through on any of the links to edit in your Easil account. We’d love to see what you create! Don’t forget to tag us with #MadeInEasil on Instagram or tag our account at @TeamEasil. We love seeing Easil designs out in the wild! Are you as addicted to these Tap-to-Reveal Instagram Stories as we are? 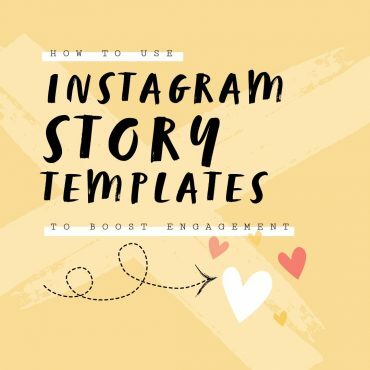 Have you created this style of Instagram Story before? Let us know in the comments!